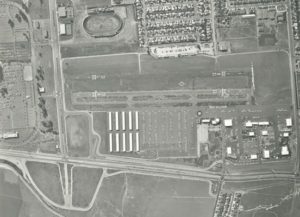 The first time I ever saw the Reid Hillview airport was around 1959. My father was stationed at Moffet Field at the time, in Squadron VF-124. The front line fighter they were using then was the Chance Vought F8U Crusader, the Navy’s first 1000 mph fighter. We were living in Mountain View during this time. My mother also worked at Stanford Hospital. She usually had to work on Sunday. On those days my dad would sometimes pack my sister and myself into the car and we would visit nearby airports. On one of these days, we ended up at Reids Hillview. I can still recall as we drove into the airport seeing some skydivers sitting on the lawn with their parachute gear. We hung around a short time, checking out the field and just walking around talking to people. We only visited Reid’s one time during this first stay in the Bay Area. A quick aside; we once visited San Carlos airport on another of these Sunday outings. I can remember well there was an aerial photography outfit operating at the airport. The plane they used for this work was a photo recon version of the P-38! Some of you may recall this airplane. It had a bulbous nose where the standard sleek nose with the machine guns used to be. The camera operator actually stayed in this cramped compartment during the flight. An early fly-in at Reid’s Hillview. 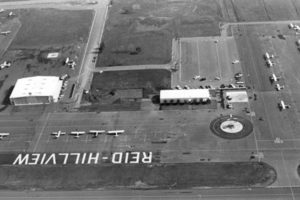 The airport was renamed Reid-Hillview when the county took over. Years later I got involved in backpacking in the Sierras, and for this activity needed topography maps. I would sometimes purchase these at the United States Geological Survey offices in Menlo Park. There they had a display of the history and activities of the USGS. I learned from these displays that the USGS was still photo-mapping the Sierras well into the 1950’s. It’s likely that the P-38 I saw sitting at the San Carlos airport was used in this effort. Being in the navy meant we moved around a lot. My dad transferred to the then-new Lemoore Naval air station in 1961. After yet more moving around, my mother, sister and I eventually resettled in the Bay Area in 1964. I was a junior in high school at the time. For the last part of the school year, I attended Cupertino High. During one physical Education class, I overheard some fellow students talking about flying. I wandered over and soon joined the discussion. It was there that I met Vern Miller. Many of you knew him, and possibly his parents. They were a “flying family”, that all started with his father flying as a bomber pilot in WW-2. I can’t recall exactly now, but at the time Vern may have been working towards his private license or may have already earned it. Vern was a senior at this time. Vern and I quickly became friends. Shortly after that, he asked if I would like to take a flight with him, something I couldn’t say yes to fast enough. When the big day arrived, we met at Reid Hill view airport. It was there that his dad based his Aeronca Champ. Vern knew his way around the airport very well. 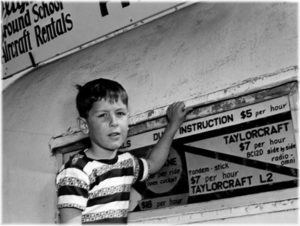 Eventually, through that friendship I was able to work as a “line boy” for Spartan Aviation, the only flight school operating out of a “real building” at the time. 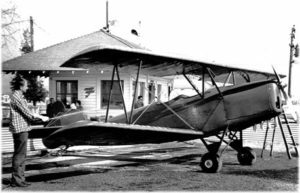 Harold “Mac” Mcmurdo was the owner, and his fleet consisted mainly of Cessna aircraft. He was a Brantly Helicopter dealer and had one on the line which he used for training. Mary Lail was his secretary, and her husband was a San Jose Police officer. Mac’s school was located near where the Civil Air Patrol offices are now. Those offices were at one time the County Airport Operations office and were used until the main terminal was built in 1970. 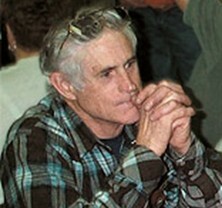 Mac’s mechanic at the time was Norm Derks. Norm had his own maintenance shop located in one of the hangars in the main line of hangars shown here. Norm later went on to get his flight engineer rating for B-727’s (when there was such a thing, remember that 3rd seat in the cockpit?) and flew for non-scheduled airlines for some years. About this time I started taking flying lessons at Spartan Aero. My instructor was Mr. Bob Haney. Bob had flown P-38’s during WW-2. I managed to get to solo that summer before starting back to high school for my final year. I finished up my Private ticket by the next summer. Amelia Reid worked out of a trailer parked a short distance away from Spartan Aero. Nearby Pinkerton Aviation also was located in a trailer. “Pinkies” Champs were painted yellow, and some referred to them as the “Yellow Jaundice Airforce”. Pinkerton had flown F4U Corsairs in the Pacific theater during WW-2 and had a number of photos of those days were on display in his flight school office. Vern and I took what was for me the longest flight in a small plane, a weekend trip to Clearlake where we camped under the wing of Pinkies L-2. Sometime later Vern decided to rent one of these tired old birds and go out to see how high we could get it. I recall at least a one hour climb near Reid Hillview, and we eventually decided that 13,000 feet was about all we were going to get that day. Great fun! Both Amelia and Pinkerton’s “flight school on wheels” were located near the current hangar and tie-down rows “H” and “I”. These schools were near the entrance to the field, which at that time was on Cunningham Avenue. 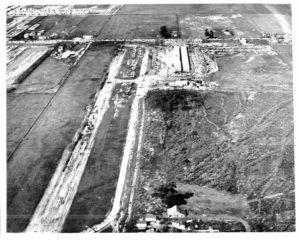 This road was eventually bisected due to additional land purchased to enlarge the airfield. The remaining stubs of this road remain on each side of the field, the east portion becoming the main entrance to RHV. At this time both Story and Tully roads had stop signs where they intersected with highway 101! Both got over crossings soon after I began flying at Reid’s, around 1966 or so. Aerial view of Reid Hillview taken in 1975. Note San Jose Speedway, upper left. Amelia’s fleet consisted of a smattering of Champs, Taylorcraft, and maybe a Piper or two as well. Two or three of the aircraft she had on the line in those years are still in use today in the “new” Aerodynamic flight school as I write this. By the way, I remember seeing Robin Reid playing alone in the parking lot while his mom was busy flying with students. Another memory of Amelia’s school; the Piper Apache twin Robin received some of his first multi-engine training with his mom instructing is still tied down there. It was sold some years ago, but the new owner elected to keep it tied down in one of the several spots the school rents out for tie downs. As far as I can see the only “improvements” to this aircraft has been a new pair of cowlings. The plane still has the original paint job it did when Robin was getting his first twin-engine training. Later Amelia hired a flight instructor named Marge Frenzel. 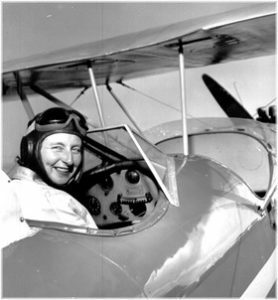 Marge was a funny, outspoken, and independent woman with a lot of aviation knowledge. I found out some years later she was one of a number of women that had been trained to fly in WW-2. I learned about this when Marge was given an award at the Aero Club Annual Crystal Eagle Award Dinner held at the Hiller Air Museum in San Carlos. I hadn’t seen Marge since the late 1970’s. She had been brought there by friends and was in a wheelchair. In spite of the advancing years, she still had a sparkle in her eye and remembered me from the days I worked with Vern when he was Amelia’s mechanic before striking out on his own. Marge Frenzel, among other women military pilots during the war, were known as ‘Women Airforce Service Pilots’ and were trained to ferry aircraft around the country (and to Europe, ed.) as needed during the war, freeing up more men to fly in actual combat. After the war air racing resumed, and one of the racing categories was for T-6’s. Marge later wanted to try her hand racing T-6 Texans during the Cleveland racing years, but was turned down because of her gender. Marge died about 3 years ago. It was around this same time I first saw Vaughn Lamb arrive at the field in the Ford Truck he had for so many years, with a fuselage and other parts in tow arriving at the field. It was a few years later before I met and became friends with Vaughn. Vaugn always had an aircraft restoration project going, and got a number of them back in the air. Vaughn kept busy as an engineer for the Southern Pacific Railroad and had a side business recovering aircraft wrecks from all over the world. Some of the stories he could tell sitting around the fire at San Antonio Ranch clubhouse (behind Mt. Hamilton) were very interesting to hear. He used to host get-togethers at the ranch for members of Wings of History and some personal friends. Some of you will recall it was a wonderful place to stay overnight. That area was so isolated it was almost like being in another state. restored was an Interstate Cadet. I also knew Jeannie, a single lady that was good friends of the Reid family. Vaughn and Jeannie eventually met and were married for many years. Prior to their marriage Jeannie had her own Taylorcraft in which she eventually crashed. She spent time recuperating from this at the Reid family home. As the county continued improving the field, the day eventually came when they insisted all the “Trailer” Schools either move into permanent facilities or leave. Pinkerton elected to move his entire operation to a field somewhere in Southern Cal. Amelia had the large hangar/office facility built. But, in true Reid fashion, she kept the original trailer and parked it along the inside wall of the new hangar, where it remained for a number of years before finally disappearing. Amelia had a number of “Hangar Parties” in the early 70’s, where I met a number of wonderful people I still know today. This included Frank and Gail Womack. I recall Frank was the newsletter editor for the “Antiquers” (now WOH) at the time we met. A short time before I had been the newsletter editor for EAA Chapt.62, so Frank and I were able to enjoy a laugh or two over the challenges of newsletter editing. Around this time the school I had worked for, Spartan Aero, shut down, and I lost contact with Mac. He ended up flying out of a school at Oakland airport. I last saw Mac briefly at the Watsonville Fly-In in the mid-80’s. After high school, I had started A&P training at College Of San Mateo and didn’t spend much time at RHV during those years. This was from around 1965 through 1967. I also remember the coffee shop with the blue windows. It was typical of the type of eatery seen at so many airports then. One thing that I’ll always remember was the awful tasting coffee from that place. It turns out that the water supply was from a private well, which had lots of sulfur which had a lot to do with the coffee flavor. Bobby Reid’s wife worked there as one of the waitresses. There was a working crop-dusting operation based at Reid’s in those days. The name of this operation was Clevenger. The planes were all converted Stinson L-5’s with a lower wing from a Luscomb. This wing also held the hardware for applying either the dust or liquid being used. The “designers” of this hard-working aircraft had mated a 220HP continental radial engine to the airframe and were getting an extra 20hp out of the engines. A number of the “old heads” around the field could recall when Art Scholl, a student at San Jose State at the time and living in a trailer on the field, had worked out an aerobatic routine using an 85hp Globe Swift! As many of you know, that was a rather underpowered craft with an 85hp engine. Art would have to climb to altitude and dive towards the “zone” in order to have adequate speed to complete his maneuver. Knowing how he got started explained how he ended up becoming a successful airshow pilot. After finishing up A&P training at CSM, I finally started flying seriously in order to obtain my Commercial Pilots license. I passed the flight test for this by the time I was 21 years old. I then started working on the flight instructor ticket. This took another 6 months or so. I then did some flight instructing for time building during my days at San Jose State. Around 1981 I began helping Bobby Reid announce at the Watsonville Fly-In. I had gotten my first experience doing this at the old Hollister Fly-In that was put on by EAA 62. Looking out over the crowds at Watsonville compared to the Hollister show made me feel like I had made the “big time” chatting at flying events. If I recall, John Winter was the person that helped pave the way for this. I had a number of very satisfying years on that stand, which always gave the opportunity to meet aviation personalities and stay in touch with long lost friends. After discovering my red/green color deficiency was going to keep me away from any major airline, I then had to rethink my career direction. I did end up in the aerospace industry but in an unexpected way. I ended up working about 12 years for United Technologies Inc at the “rocket ranch” located about 5 miles south of Reid Hillview. I started there working in the solid fuel test range, and ended my career in Quality Assurance, visiting supplier’s facilities all over the country. 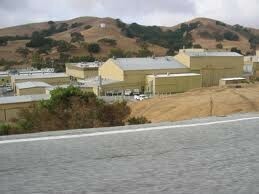 I transferred from Palo Alto airport to Reid Hillview in 2000. At this time the Reid Hillview pilots Association would hold their monthly meetings in the main terminal. One of my shifts was the evening from noon until 10 pm, so I often had a chance to talk with some of the members during and after their evening meetings. On one particular night after the meeting, I ended up chatting with Amelia for a short time. She discussed some of her recent medical problems and how she was concerned that it might affect her flight medical. After she left the terminal she headed back to her school to shut things down. At this point, she had a stroke that knocked her to the floor, still alive. She was found the next morning. She survived for another couple of months before passing away. It was discovered shortly after the 9/11/2001 attacks that the captain of United flight 93 name was Jason Dahl. This was the aircraft that eventually crashed in the field in Pennsylvania. It turned out that Mr. Dahl had been a student and gotten his pilots license at Amelia’s some years before. Amelia was a bit of a pack rat and had kept most or all of the shirttails with notes signifying the student’s solo flight. Someone dug around and actually found the United pilot’s shirttail in the batch that Amelia had kept for all those years. One day soon after the shirt tail was located, it was arranged to line up several of Amelia’s trainers on the transient line in front of the terminal in memory of Jason and the heroic passengers of United flight 93. On June 17, 2006, I was announcing for the Fathers Day Fly-In at Columbia California. Saturday evening after the proceedings I learned that earlier that day Vern Miller had died in a crash along with his wife and two others in his Cessna 180 in Oregon at Paradise Lodge, located along the Rogue River in Oregon. Vern had been flying up there for a number of years for rest and relaxation. He was one of the hardest working people I’ve ever known. He was considered an expert on the Cessna 180 and had customers from adjacent states fly here to have him maintain their 180’s and 185’s. The week after this accident was one of the most emotionally difficult times of my life. It seems that once the word got around that Vern and I were long-time friends, everyone wanted to ask me about the accident. I knew everyone that asked had no idea of what I was going through, but it was really hard to keep telling the story over and over. One of Vern’s customers that had retired and moved clear across the country called and also wanted to know the details. I was asked to MC the memorial to be held in Amelia’s hangar. While I was honored to do this, difficult as it was, there turned out to be a downside. I had certain details to take care of in order to get a handle on what was to take place. As I moved through the crowd, I kept bumping into people that I hadn’t seen in years. It was not easy to excuse myself in order to prepare for the ceremony. It was especially difficult to talk with Vern’s parents, whom I hadn’t seen in many years. They had retired and moved to Arizona years ago, and rather than just enjoying visiting with them after all this time, there we were at their sons memorial in Amelia Reid’s hangar. On the Monday or Tuesday after the crash, a TV film crew showed up at Reid Hillview and wanted to interview me. During the conversation, they discovered I had a number of pictures of Vern at my home. I was able to break away from work for a time to retrieve these for the film crew that followed me home. One set of photos was in an album from my first wedding in 1976. Vern had been my best man at that wedding, and a few years later I was the best man at his second marriage. One of the pictures in the album was of myself, Vern, my bride, and the bridesmaid. As I looked at the picture and discussed it with the film crew, I was struck by the thought that I was the only person still alive in that photo. All the other had passed. I had to walk away and take a few moments to regain my composure after that realization hit home. 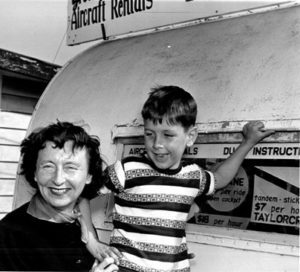 After Amelia’s passing in 2000, son Robin assumed management of her flying school. Robin had a lot on his plate. His flying career, a growing family, along with running the flight school. 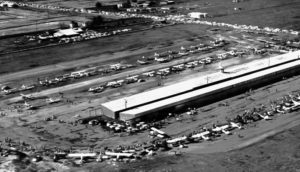 After a time he decided to sell off the school portion of the business and retain rights to use the main hangar for a workshop for the restoration of his many antique aircraft and glider projects. In this agreement, the school was allowed to keep the original name, so well known in this area. Eventually, this became more than he wanted to deal with, and he purchased a home on an airport in Oregon. He also purchased a functioning FBO in order to get the hangar space for his projects. 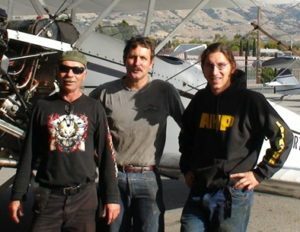 Robin Reid, always present around RHV and the local aviation scene, departed for Oregon in early 2010. He had 3 full hangars of stuff on the field that needed to be moved. I kept an eye on this drawn-out process with a certain nostalgia and sadness. He continued to offer his considerable flying expertise to homebuilders, warbird and restored antique aircraft pilots for such duties as first flights, ferrying antique aircraft around the country, and providing proficiency training in everything from Taylorcrafts to T-28’s. Various trucks and even a 54ft semi-trailer were needed to move all his belongings. One by one, his various aircraft were flown away to Oregon. Finally, there was a flurry of activity involving a particular biplane which I had seen in his hangar and had been aware of for years. It’s a Kreider-Reisner Challenger powered by a very rare small Wright Corp. radial engine. This engine had been apart for some time. I later learned Robin was forced to have the replacement parts machined from scratch, as originals simply were not available. There were ground test runs and test flights to prepare this ancient craft for the long flight. A few days before a trusted friend of Robins would actually fly this craft away for good, Robin told me that this craft was the very first aircraft to land at the new Reid’s Hillview airport in 1939! Exactly 70 years ago. I watched this beautiful old bird depart and knew it was the end of an era. Part of the business agreement when Robin finally left for good was that the school discontinue the use of name Amelia Reid Aviation. The name was changed to Aerodynamics, something that took all of us including the control tower personnel some time to get used to. As things turned out, it was some time before the school got around to actually installing signs with the new name. 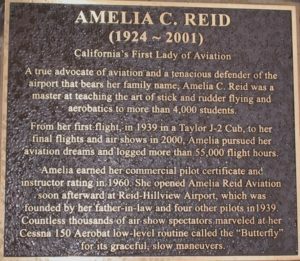 But they finally did, and on 10/09/2009 Al, the mechanic that has worked there so very long, with the assistance of airport personnel, removed the large sign with the Amelia Reid name on it from above the main hangar door. The other signs on the building facing John Montgomery Drive and Robert Fowler Way consisted of individual letters attached to the sheet metal and remained for several months more before finally being taken down. announcing and commentary at Reid Hillview Airport Day when Alan Silver, who had been handling this for several years had a schedule conflict and could not make the date. I ended up doing this each year until 2009. Great fun, as you can see in the photo. Actually, it was usually not this grand, but a good friend had connections to the former Arena Football team cheerleaders, the Saber Kittens. He was able to get them to attend the airport day for several years as seen here. Since the demise of that team, he now brings the Raiderettes instead. Over the years I’ve attended a number of special events in the hangars around RHV. These events have included several wakes for departed friends, a wedding, and a party for Maynard Engels 50th birthday which included a male stripper! It looks as if this is going to be the place I retire from, which I hope to do at the end of this year. There is a certain irony to retire at this field after soloing in a Cessna 150 here long ago at age 17. To Reid Hillview and all the people I’ve known over my years of association with this field, I say thanks for the memories!